Note: To establish your score, add 1RM Power Clean (pounds) to Maximum Hand Release Push-ups achieved in 1:00 (reps) and divide by time (seconds) for completion of the workout. 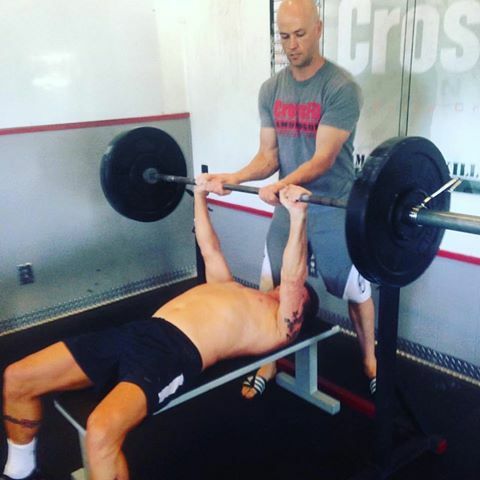 This workout hit CrossFit HQ and Greg Amundson in August, 2003 and was a instant classic. Ron and Britain are CHAMPIONS!